Your generosity will allow us to heal little hearts. Thank you for allowing Hope Hospice to send more children to Rainbow Trails bereavement camp. 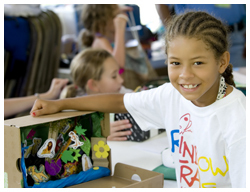 If you know a child who would benefit from this camp, visit hopehcs.org/rainbowtrailscamp or call us at 800-835-1673.